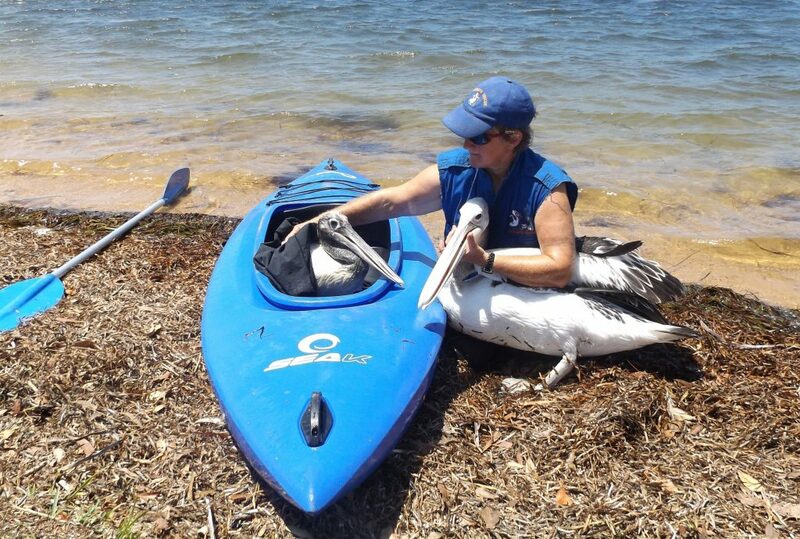 One woman with a kayak and a rescue van is surveying the health and welfare of pelicans around Woy Woy and the greater Peninsula. Before you notice Wendy Gillespie, you’ll notice the pelicans. Each afternoon you’re likely to see anywhere between 40 and 70 towering white birds, snacking on whole fish, fish frames and off-cuts at the side of WWFW. And while the birds are amazing – seriously amazing, right? – the woman looking after them is even more so. If you’re visiting WWFW, chances are you’ve visited the pelis, too. 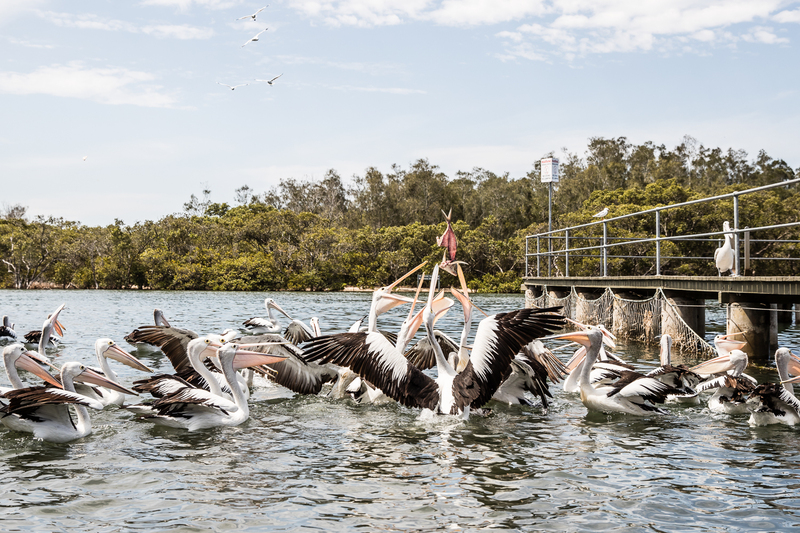 For the past 46 years, pelicans have been fed at the Wharf, with an average of 50 large pelicans snacking on fish at the daily Feed. On Saturdays and Sundays at 3pm, Gillespie conducts a “pelican injury and health check” of up to 70 birds, and shares many local rescue cases and conservation tips in an interactive Pelican Appreciation Session. Make a booking online at Woy Woy Fisherman’s Wharf to enjoy the Central Coast’s best and freshest seafood. So what can we do to help? Firstly, keep dogs on leashes when pelicans are around, don’t let your children chase them, and if you’re going to feed them, make sure it’s whole smaller fish, such as mullet, rather than human food. A huge thank you to Wendy from us at WWFW for keeping our pelicans healthy in the wild. Wendy is at The Wharf on Saturdays and Sundays at 3pm to undertake the pelican health check and host her “interactive” Pelican Appreciation Sessions. If you’re interested in learning more about pelicans and can’t make the weekends, you can contact Wendy for a group session at another time. A donation is requested towards her bird rescue service. Also if you see an entangled or sick waterbird in the Peninsula area, please report it to Wendy Gillespie. Her contact details are 0458 975 498 and wgillespie10@gmail.com.